Looksi-look what I've got made... it's brand new SSSS STICKERS! They're in the store right now! 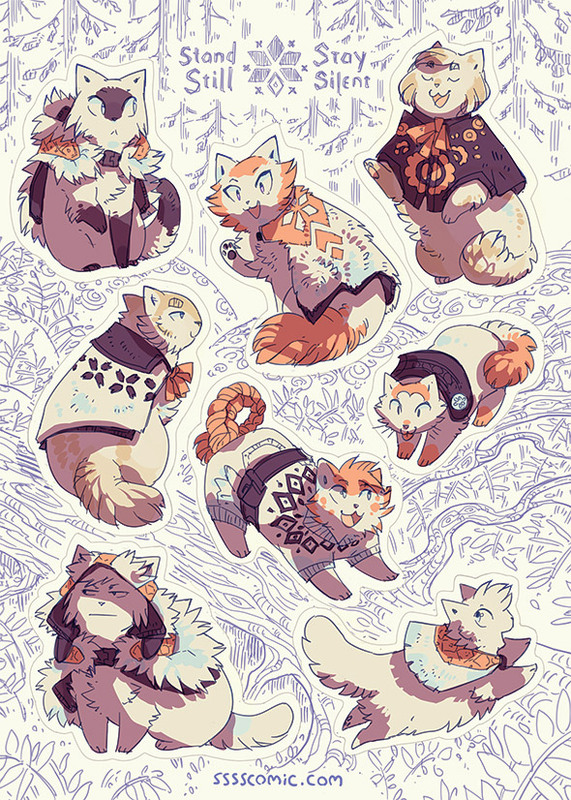 I'm really happy with the design of the sticker sheet, it's the whole crew (including Onni) as kitties! Stick them on your phones, back of your laptops, your calendar, your... walls? Gosh, I haven't added anything new to the store since... before Christmas I think? So it's about time we got some fresh items in there! Next on the plan is to do a couple more t-shirt designs, since there's only one right now. I have a couple of cool ideas in mind that I think a lot of you will like. But that's in the next couple of months, for now... enjoy the stickers!